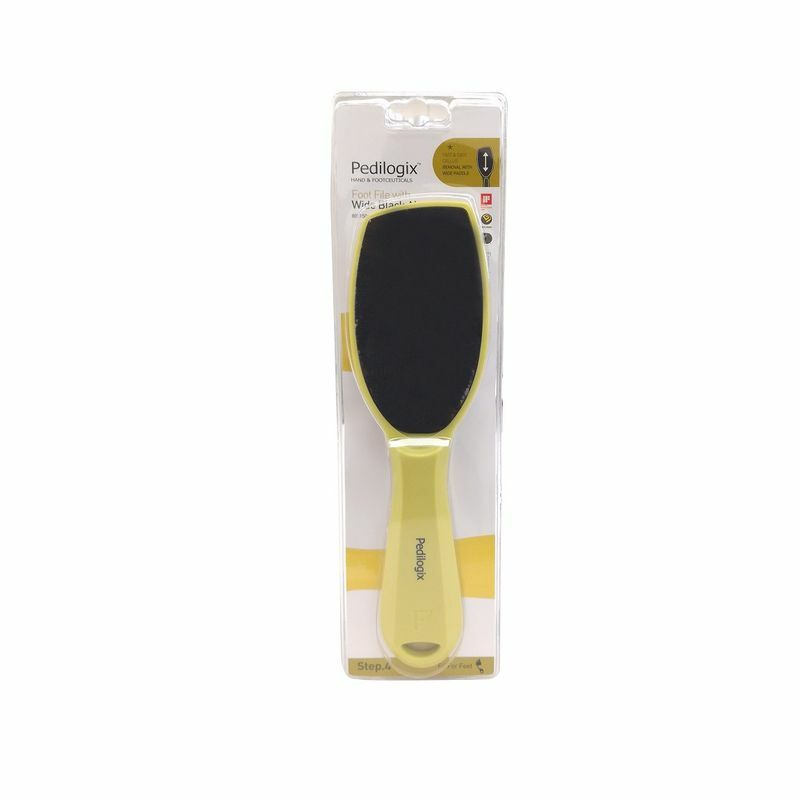 Get soft and smooth feet with O3+ Pedilogix Foot File with Wide Black Abrasive. This foot filer not only helps you get flawless feet, but can also file your nail, giving you smooth feet and perfectly shaped nails without the hassle of going to the parlour. Additional Information: O3 Plus is No.1 professional skin care company in India since 1962, designed and formulated in Europe by world class skin professionals catering to dermatologists, skin specialists and professional beauty salons all across the globe. Each formulation combines the magic of science and the wisdom of nature, that together bestows instant and long lasting results giving you flawless, rejuvenated skin.